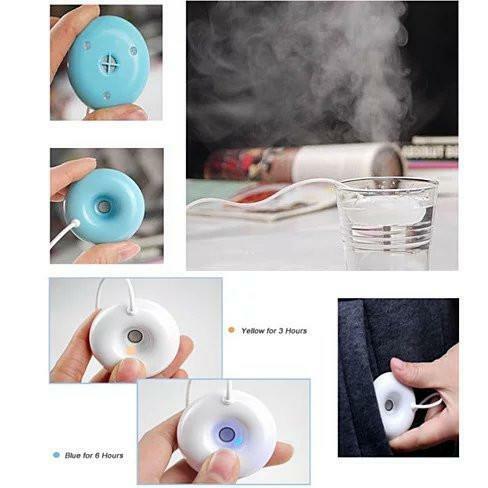 Soft Mist Portable Humidifier. 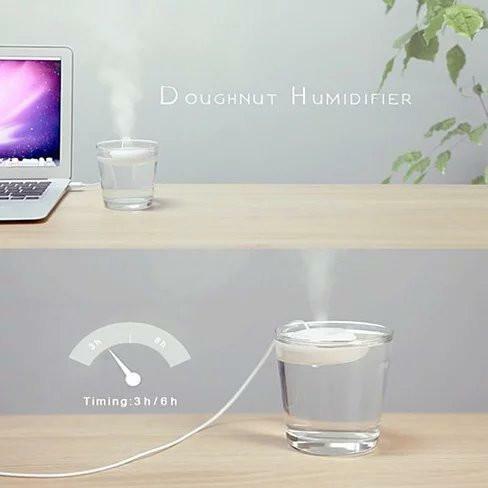 Create soft mist with this doughnut shape humidifier. 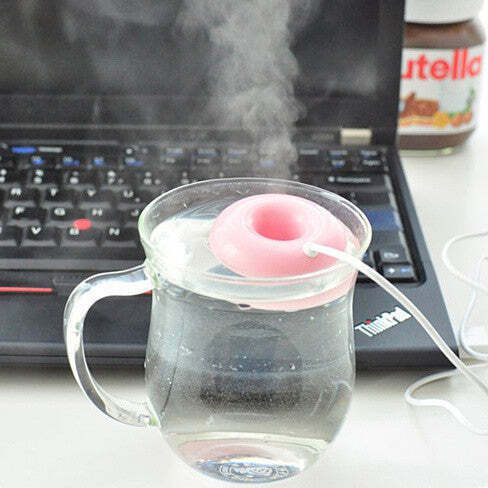 It is very simple to run, just get a cup of tap water either plain or add a drop or two of your favorite aroma and then drop the ring in the water. Now plug it in to the USB outlet and start enjoying crisp clean air around you almost instantly. Good for dry atmosphere and can help relieve you from many symptoms of allergic reaction. Soft Mist can also help you breathe easy and have a good night sleep.No filters to change, no batteries to charge. It has a built in safety timer so you can set it for 3 hours or 6 hours or it will turn off automatically when water runs out. Fits in your pocket and can be setup in seconds. Try one now and you will feel the difference. 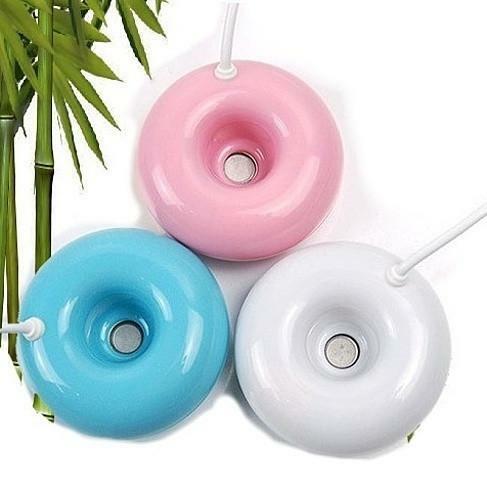 Comes in 3 soft colors of White, Blue and Pink. Comes with 6 Months Warranty.